Home Humor Social Media Comic: Do You Really Need All Those Gadgets? Certain things just go really well together. It’s a great fit, right? Think about it. Do you have a smartphone? If you do, consider all the time you spend on it and then think about how much of that is actually spent talking on the phone. For most people, our technology devices have become more about the data they transfer between apps, email, Facebook, Twitter, and text messaging and less about how many minutes of call-time we use. 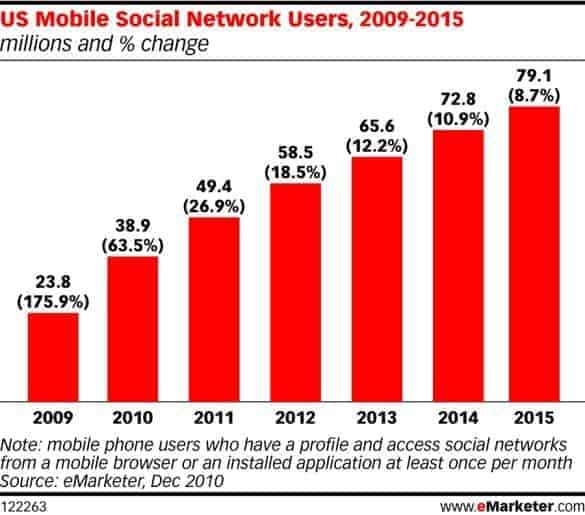 And this trend toward using our phones to engage in social networking doesn’t appear to be slowing down. eMarketer projects that over the next few years, we’ll continue to see steady growth as more and more people purchase smartphones, sign up for social networking accounts and then access social media sites from their mobile devices. But the good often brings the bad, too. More mobile-enabled social networkers means more texting in movie theaters, more video capture of human stupidity and certainly an expansion of the “always on…always on-call” work ethic that is driving us to standard 60 hour work weeks. More and more people will continue to look like they’re emulating Batman’s with his utility belt and gadgets as the don their mobile device, personal health tracking device, bluetooth headset, digital tennis shoes, tablet device, iPod and Google glass devices. Some have posed the question as to whether a heavy focus on social media can have a negative impact on our real-life relationships and mobile technology is certainly enabling the use of social media anywhere, at any time. Personally, I think there is a balance…but I can also completely empathize with the guy in the comic above.When I leave my devices at home, I often feel out-of-touch and a bit..well..naked. But sometimes cutting the cord is just what we need to focus on those real-life human beings and in-person conversations. So, next time you head out to a gathering with your friends or to a movie, consider leaving the devices behind…or maybe just bring one. As always, I’d love to hear thoughts/comments about how mobile is shaping our lives and tips/tricks to limit their impact.